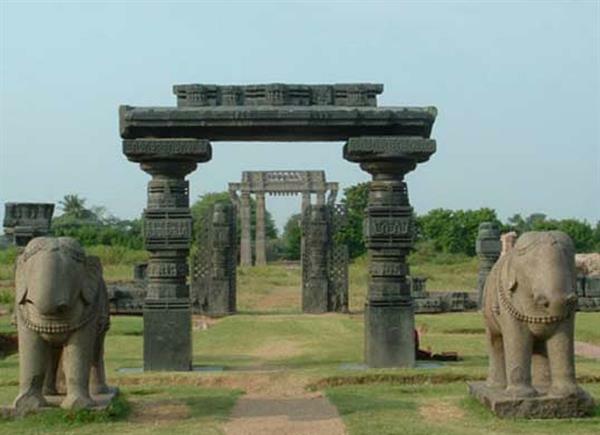 Pakhal Lake is located in Warangal, which is one of the oldest districts of Andhra Pradesh, the capital of Kakatiya Dynasty. The Lake though an artificial one was created by the King Ganapati Deva and has a beauty that brings heaven to this planet. Just wanted to share our experience which was unforgettable. Watch out, if you find the place close to what you were looking for to visit in the coming holidays. This was a trip which turned out to be one of the most memorable ones not just because of its scenic beauty, but what we have experienced by visiting it at a wrong time. But this "wrong time visit" turned out to be the most exciting one, as otherwise we couldn't have witnessed such a scene. It was just a few months back when the weather in Andhra Pradesh was just going whimsical and one couldn't guess whether the umbrella will save him from the rain or the scorching sun. We had just three days' holiday, and that was enough to drive us out of the house. As the time was too short just as it is every time, we too had to cut short our plans. 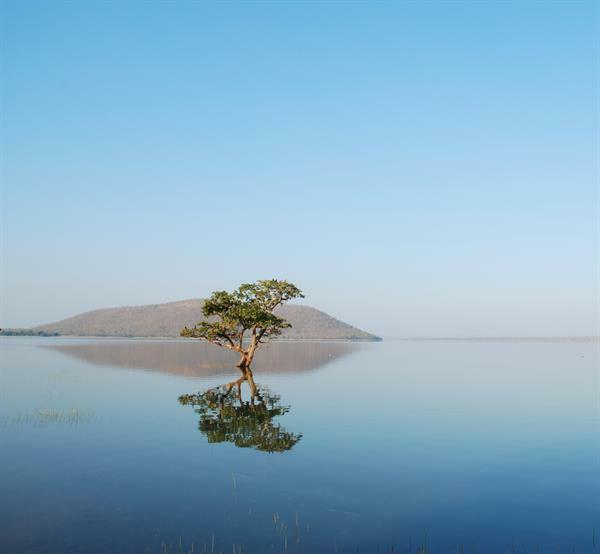 After a tricky search for not so well-known places, we found this Pakhal Lake in Warangal, and the photographs made us stick to it and we just wanted to be there. In haste, we didn't bother to read the reviews much and missed out the "best time to visit". It was mid- August and here is how it all went. 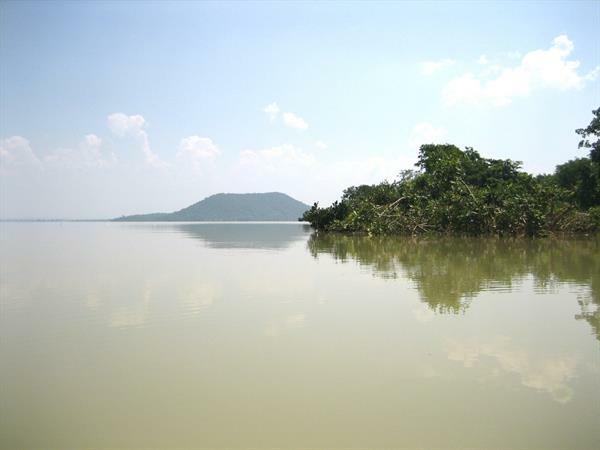 Pakhal Lake is 198kms from Hyderabad. As it was a sudden decision we couldn't book a train ticket and choose to reach there by car. That really saved us, as reaching the interior of the Pakhal Lake would have been difficult otherwise because of the underdeveloped facility for the last mile connectivity. By train, one can only reach the Warangal Station, which is a big one but had to book a private vehicle anyway to reach the spot. There were three routes by road, the first one is via NH163 which will take 4 hours 8 min for198.6 km. The others will take around 5 hours 7 min (249.2 km) via Hyderabad-Karimnagar Highway, the other one would take around 5 hours 18 min (240.5 km) via Hyderabad-Karimnagar Hwy and Siddipet-Husnabad. We took the first option as it was comparatively shorter. On the way, we all had great fun, as the highway was filled with eateries and the road was quite well maintained even in rainy days. 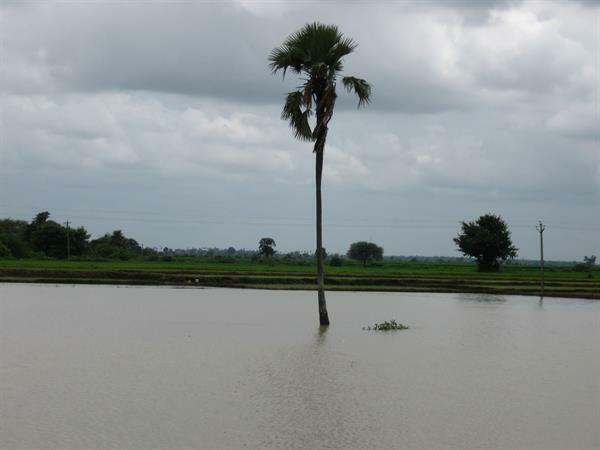 As it was the rainy season, we miscalculated our route and when Warangal was only around 10kms away, we had to cross a small bridge and we found it broken by the flood waters. We had to take the second route and we finally reached Warangal. We started for the Pakhal lake just after our lunch and reached there by mid afternoon. We lost our words to see the scenic beauty of the lake, but something was looking different from what we have seen in the pictures. After a while, we observed the sound of gushing water, and we just followed the sound to get one of the most breathtaking scenes of our life. The river was flowing with the water level rising over our head just a few yards away from where we were standing. It was taking with it big trees, stones, and whatever came on its way. The gushing sound of the high-speed water didn't even allow us to hear our own conversations and few people thronged there to watch the scene. It was a scene unforgettable and it was something that added to my list of wonderful experiences. To our utter surprise we came to know, that Pakhal Lake is not a natural lake, but an artificial one. 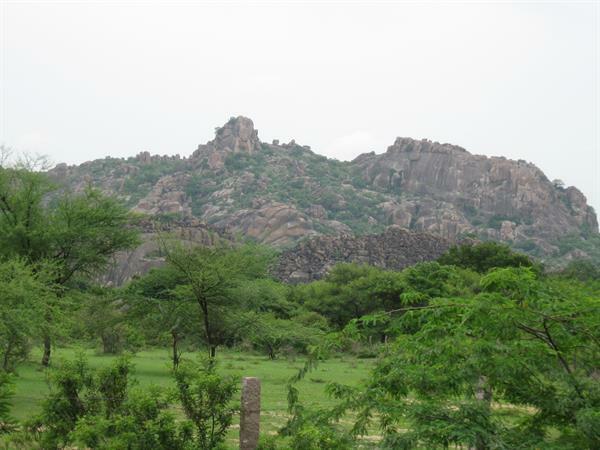 It is built on a small tributary of the Krishna River, very near to a district of Andhra Pradesh, named Warangal. 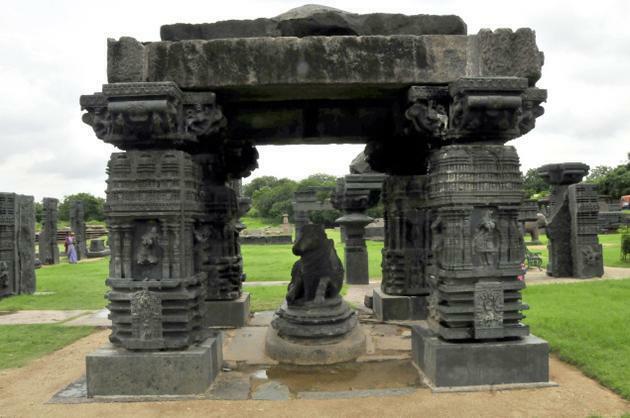 It is said that the lake was made by the Kakatiya Dynasty Ruler, Ganapati Deva, way back in the 13th century. Surrounded by hilly terrain and nested deep inside a dense forest, this lake is spread over 30 km's. The terrain is undulated, diverse with rocks, forests, a misty air and holds a scenic beauty that people who haven't seen in the picture before hand, can hardly believe in. Just about a distance of 50 km's on the east of Warangal city, this lake calms you down with its serene atmosphere, chirps of birds, few squeaks of monkeys. Pakhal Lake isn't a tourist spot with much amenities and luxuries. The only place to stay there is the Haritha Kakatiya Hotel from the APTDC in Warangal City which is quite well-maintained and is famous for its classic interiors. The food is really good, and the stay was more than comfortable. Once you are done with the Lake, you have another handful of places to visit, and I have listed them according to their historical significance and beauty leaving alone their popularity. 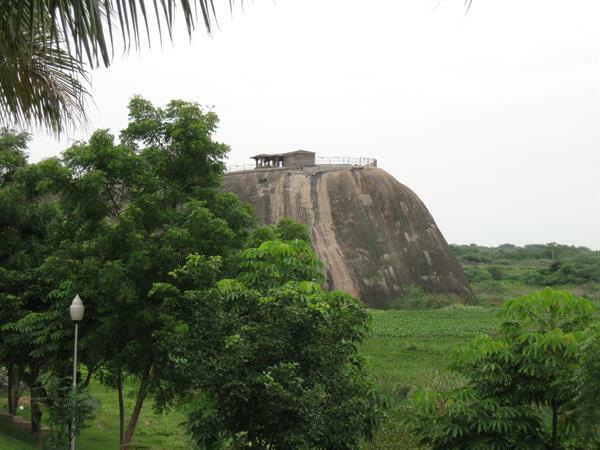 The Fort was constructed in the 13th century by King Ganapati Deva who intended to make it his second capital. You would be taken aback to see its exquisitely designed pillars and arches of the fort along with its nook and corners which were special hidden places for the soldiers. The fort also has an attached temple, dedicated to Swayambhudevi, the Mother Earth. Consisting of 45 towers along with an entrance of built in the traditional South Indian architectural style, the fort stands as a proof of Indian culture and architecture which we should feel proud about. But unfortunately, the fort is not maintained well and is going day by day to ruins. It needs special care from the government to hold back its pride and dignity, before we lose this heritage structure of India. This Temple goes back to the days of the 12th century. 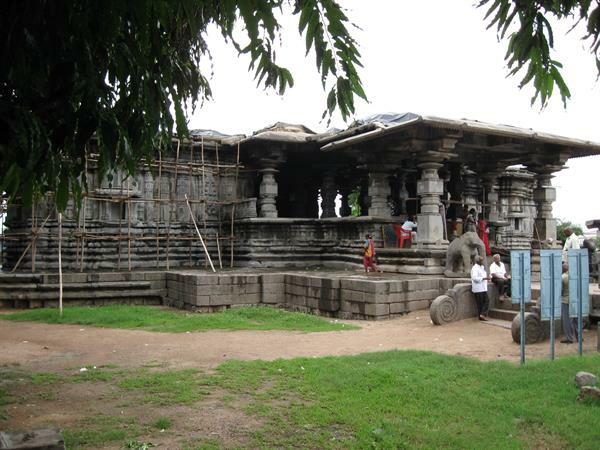 Located near Hanamkonda-Warangal highway, the construction of this temple displays the grandeur of the Kakatiyan Dynasty architectural style. The temple is primarily dedicated to Shiva, Surya and Vishnu. The name of the temple stands for the thousand pillars which are uniquely adorned and carved with magnificent black stones. There are these Rock cut elephants displaying intricate stonework that adds immense beauty and glory to the temple. 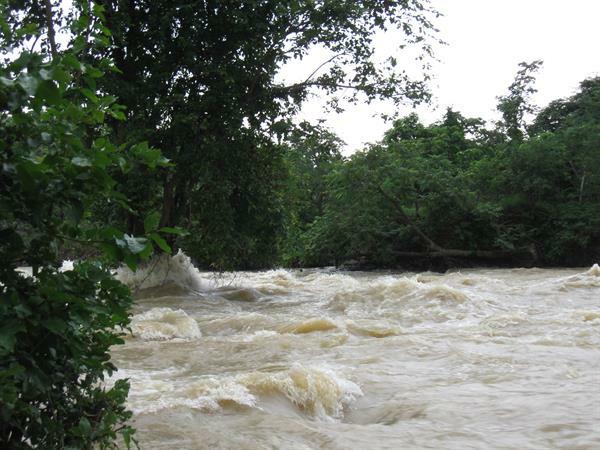 There is a village named Eturnagaram which is a beautiful place amidst dense forest. Located along the riverside Godavari, this wildlife sanctuary holds spectacular views. If you are lucky enough you can spot some rare animals like tiger, panther, wolf, deer, jackals, sloth bear and a lot more. This sanctuary covers an area of about 839 square km. This dense forest is a shelter for a variety of flora and fauna. One can be lucky enough to spot a tiger or a leopard or even a bear. Coming across a herd of deer roaming freely in the wild is a common phenomenon here. The sanctuary also harbors rare species like panthers, wolves, hyenas, wild dogs, nilgai, porcupine, langoor etc. You also can capture a glimpse of Reptile species like python, cobra, crocodiles, monitor lizard and common kraits. Pakhal Lake and the entire Warangal trip was something which had pleasant and exciting surprises in each of its turns. Take the scenic beauty, historical significance, or wildlife preservation, it is a place everything incorporated. It was a complete, gratifying and wonderful place to visit and missing it out would be really a mistake. Excellent article about Pakhal Lake and nearby attractions. Omg! Believe it or not, it is an artificial lake.